Shipping Seasons | Car Couriers Inc. 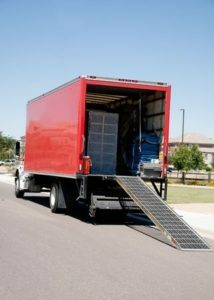 Hands down, summer is the busiest season and time of year to move. Whether you’re moving from an apartment to a house in the same neighborhood or across the country, prepare for delays, limited availability from services and increased prices. It’s most beneficial and cost-effective to move during any other season. But why is it that summer the busiest season for moving throughout the whole country? Perhaps the most obvious reason is the weather. No one wants to move through snow and ice. Likewise, the fall and spring can bring unpredictable storms, rain and wind. Summer, while it is hot, provides a much better climate for moving out and in. There are also a significant amount of holidays that fall in fall, winter and spring that a lot of families try to avoid moving before, after or during. Summer in additional to being full of moving, is also full of weddings. Newlywed couples that tie the knot often purchase and move into a new home together relatively soon after the wedding. Since so many weddings happen during the summer, this naturally becomes a popular time for new married couples to move into their new homes and start their life together. Families with school-aged children are also much less likely to move during the academic year. This means that from the end of August through June, there isn’t much moving done by families. When summer starts it is an opportunity to move homes or states without disrupting a child’s education. If the family is moving into a new school district it also gives children time to acclimate without having to just enter a new school in an unfamiliar area. The summer season also offers seasonal work for many industries and workers. With that being said, some of these workers will have to relocate for their new job. While this may not be a majority of the population, it still adds to the large amount of people that move during the summer. Since so many people move in the summer, the real estate season is also in the summer, as buying a house and moving go hand in hand. If you can move during any other season, there are notable benefits. From less traffic to lower prices, moving outside of the summer can save you time and money. Planning ahead and moving during the fall, spring or winter can greatly help reduce the stress of a move, making it a pleasant experience instead of a memory that you cant wait to forget.